Pine Island Elementary teacher Laura Lamoreaux takes it in stride that her class is full of published authors. After all, she helped make it happen. 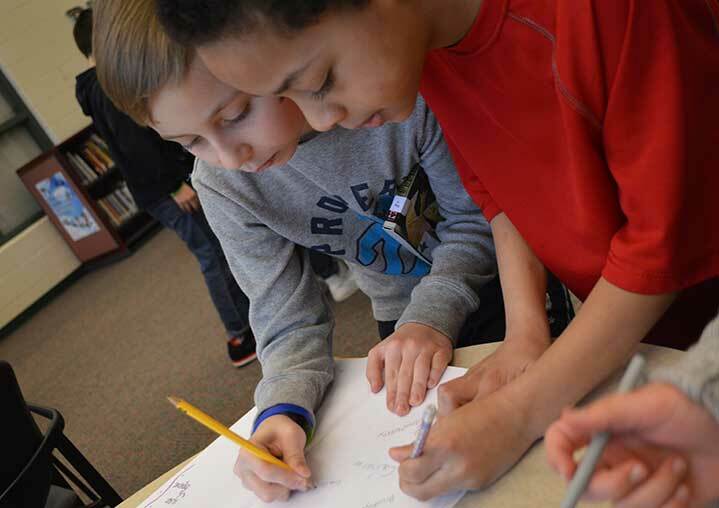 Her third-graders recently held a signing party in the school’s media center for a book they wrote and illustrated. The project began in October, and copies were delivered on Feb. 2. 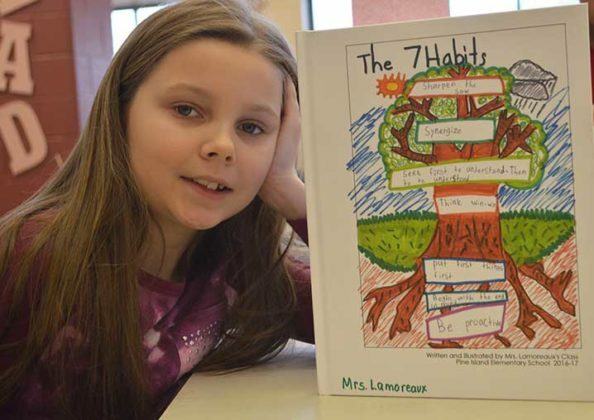 The self-published hardcover book, titled “The Seven Habits,” is based on what students at Pine Island are learning as part of the “Leader in Me” program, a whole-school transformation model developed by Steven Covey, and based on seven habits of leadership. 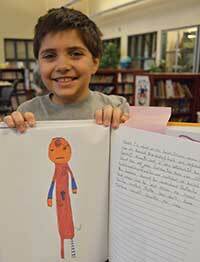 Each of Lamoreaux’s 25 students wrote and illustrated a page of the book. Adriahna Stoner did the title page and Habit #3: Work first, then play, a habit she said she has mastered. MyKaveon Johnson took on Habit #2: Begin with the end in mind. “Technically, it means planning ahead,” he explained. Cainen Williams’ page tackled Habit #5: Seek first to understand, then to be understood. “It means, like, listen to someone while they talk, thenyou can talk,” Cainen said. To get the book’s cover just as she wanted it, Riley Munger drew a practice version and then the real thing on “good paper.” But hey, just two tries is pretty good. “She’s the best artist in our whole class,” pointed out Adriahna. Still, McKayveon said, seeing his name in print made it all worth it. 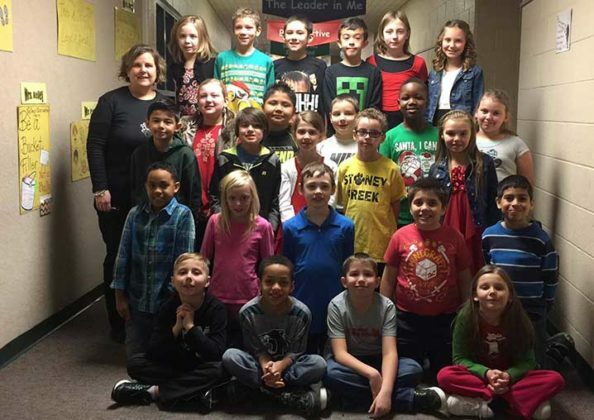 This was the second year Lamoreaux’s students self-published a book. 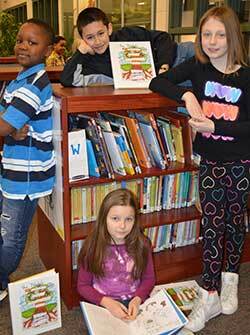 Parents were invited to purchase a copy, and others are available in the school library for checkout.